Since the bygone days of the GHz wars, energy efficiency is now a key part in any x86 CPU manufacturer handbook. When designing a CPU, parts can be engineered to either be all-out guns blazing on performance, or it can strike a balance between performance and power. When AMD first announced the FX-9590, it was presumed that the Vishera architecture was the former, given the large power increase to get to 5 GHz with turbo. That same principle comes across in these new energy efficient processors, especially when the FX-8370E is 700 MHz less than the FX-8370 it tries to emulate for a 30W decrease. Trying to have an energy efficient part of an architecture that loves high frequency at the expense of power is an odd scenario, one borne from the initial production of motherboards that supported these processors. When there were only 95W and 125W CPUs to worry about, motherboards were made to only cope with this setting, until 220W CPUs hit the ecosystem. These 95W parts allow AMD to offer an upgrade path to an 8-thread machine without replacing the motherboard. The fact that AMD is going this far might suggest they have some strong data that a user would more likely replace a CPU than a motherboard. Admittedly replacing a CPU usually requires a BIOS update or less, whereas upgrading a motherboard is a bigger ordeal. In terms of absolute performance, the FX-8370E sits somewhere between the FX-6350, FX-8150 and FX-8350. The multi-core performance puts it ahead of the FX-6350 CPU, but the single core performance can juggle around with all three, sometimes between the FX-8150 and FX-8350 due to the generational gap but often on par with the FX-8150. The same goes with gaming, where it competed with the FX-8150 near the bottom of our charts. The new FX-8370, the non-E part, should come out a clear winner over the FX-8350, so it stands to reason that the FX-8370E sits below them both due to the base frequency difference. For competition against Intel, the nearest sets of numbers we have are the i3-4330, i3-4360 and the i5-4690, positioned well below and above the price point respectively. 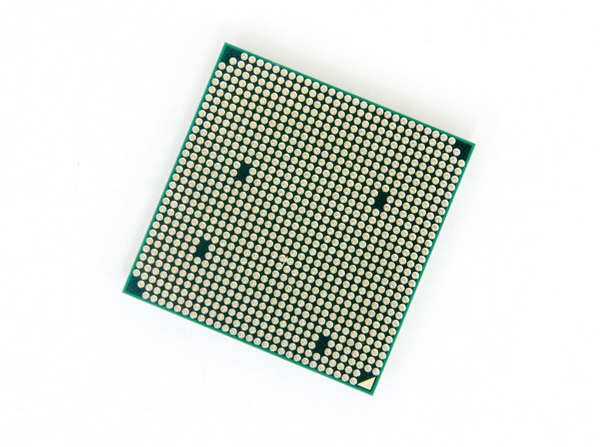 Intel wins hands down on the single threaded performance, even against the FX-9590, although having access to 8 threads on the FX-8000/9000 series is becoming more important for tasks like compression, multi-threaded web browsing and media creation. AMD’s ideal scenario is a gamer using a combination of an FX-8370E ($200) with, for example, an MSI 970 Gaming motherboard ($90) and an R9 285 GPU ($250). Altogether this would cost around $540 for the start of an 8-thread system. This will do fine in gaming at 1080p, and the parallel to draw is that this performs the same as an FX-8150, but at lower power. It is a shame that the FX-8150 came out in October 2011, and nearly three years later we are saving only 30 watts of TDP (24%) and $45 on release price difference (18%) for the same performance on what should be the flagship line for a major x86 manufacturer. At the end of the day, AMD needs to upgrade the architecture (and the chipset). At some point the architectures of the FX and APU line either need to diverge their separate ways, or there needs to be a hard earned reconciliation attempt to find a node and a manufacturing process suitable for both low power graphics cores and high frequency processor cores. We know about AMD's plans for 2016, dealing with ARM and x86, and the announcements on K12 so far point to AMD targeting servers, embedded markets and ultra low power client devices. Here's hoping desktop side gets a good boost.